See the greatest sights of the Misiones province, nature, and culture on this tour! 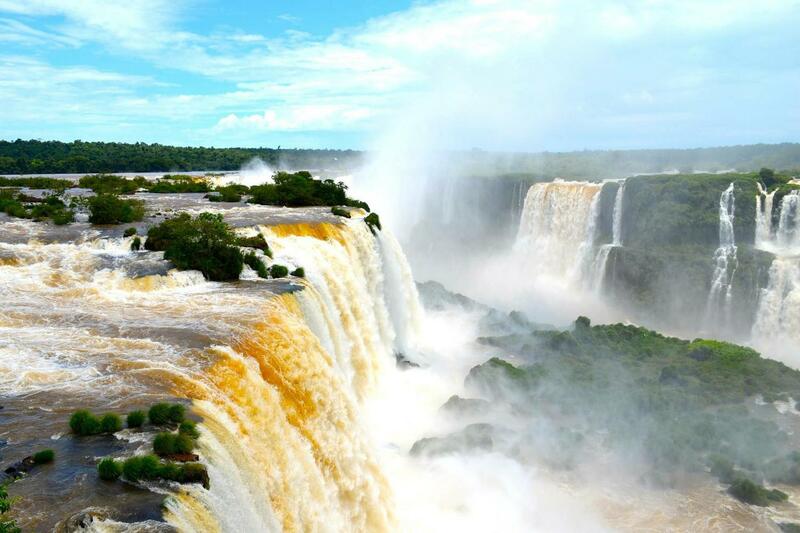 Visit one of the great sights of Iguazú. Discover the main falls, which are 3 kilometers long! The Moconá is within 337 kilometers of the city of Posadas and 322 kilometers from Iguazu. It is one of the great sights of the Misiones province, a geological fault where the Yabotí, Pepirí Guazii, Uruguay, Serapio, and Calixto rivers meet. Moconá Falls is actually a three-mile-long canyon with parallel waterfalls on track. Unlike a waterfall or cataract his fall is performed transversely, possibly up to 25 meters and up to a depth of 115 meters. The observation of Moconá falls will depend on the height of Uruguay River, since sometimes the level of the river is very high and it is not possible to contemplate this natural sight in its entire splendor. Important: Bring personal documents, comfortable clothing, footwear adventure activity, insect repellent, and sunscreen. Children under 6 years free.